← NFL Super Bowl XLII Champions DVD Premiere Screening! 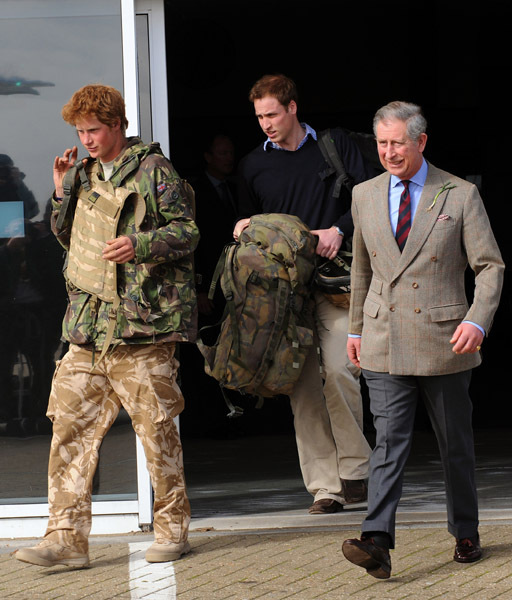 Prince Harry Returns From Tour Of Duty In Afghanistan! After various new agencies broke news that the red haired royal Prince Harry was serving in Afghanistan. The British Military as chosen to withdraw the Prince Harry from the front lines. Harry seems to be a determined soldier he was supposed to serve in Iraq, but because of safety issues he was not allowed to serve. He is third in line for the British Throne, after his older brother Prince William, and his father the Prince of Wales, (Prince Charles). Harry follows in the footsteps of his grandfather the Duke of Edinburgh, Prince Phillip who also served in World War II, and his Uncle Prince Andrew who was active in the Military in the Falkland Islands dispute. Royals are not usually common soldiers even though it is customary for them to receive military training. They have a more ceremonial role, so we can only imagine the pressure that Prince Harry must be going through from his family to not return to combat. So do you think what Harry Did was courageous or down right stupid?